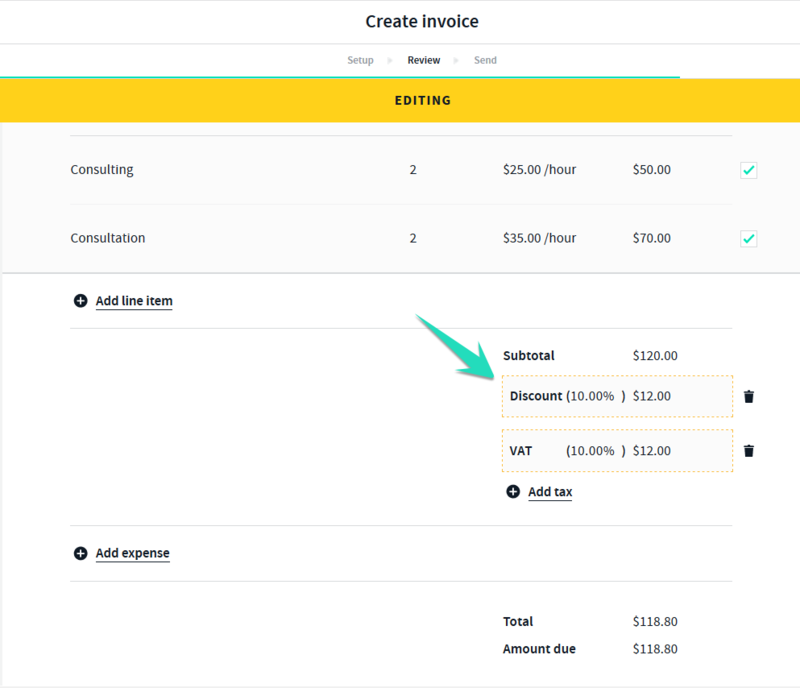 Easily apply a discount to invoices simply by selecting the discount option on the invoice. 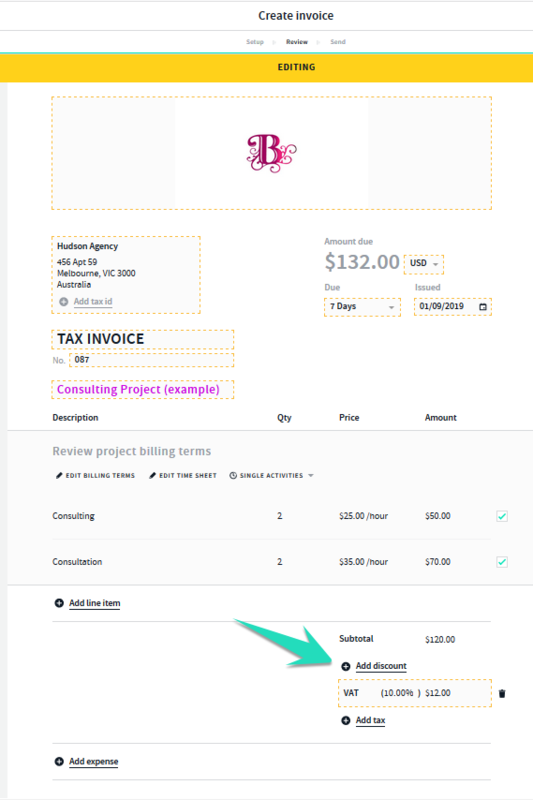 If you have a existing invoice (sent/draft) simply select the invoice > more tab > edit and send. Enter in your discount and select save. Once you have saved these details your invoice will be updated and the discount reflected. Once you have entered in your discount > select the options tab top left > save to save the invoice as a draft. If you want to send the invoice > select Next to send and continue to follow the prompts to send the invoice. 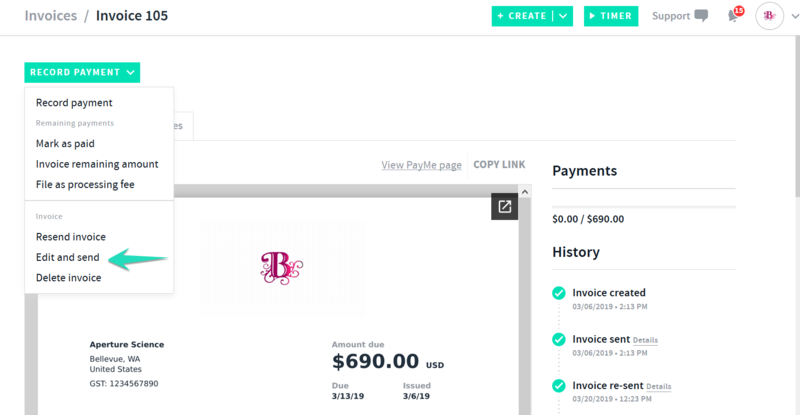 You can also send yourself a test invoice to review the invoice prior to sending to your client. A test invoice is a draft invoice, to activate the invoice and online payment option it will need to be sent or marked as sent.